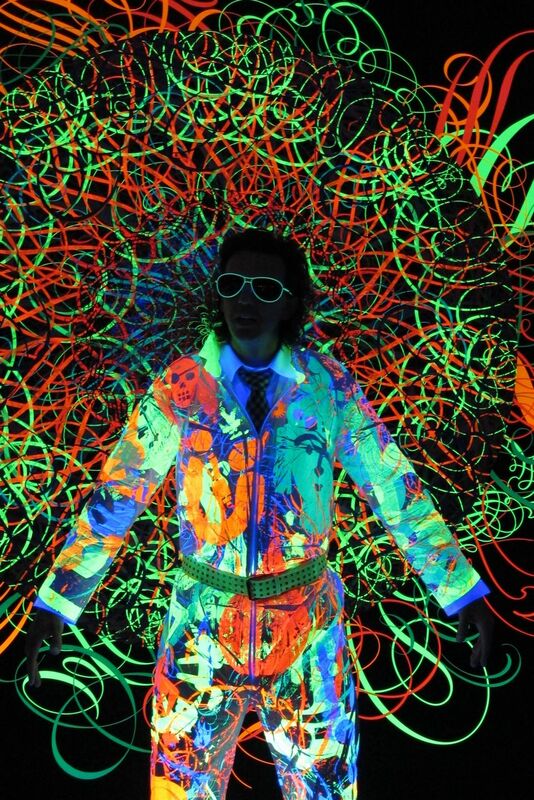 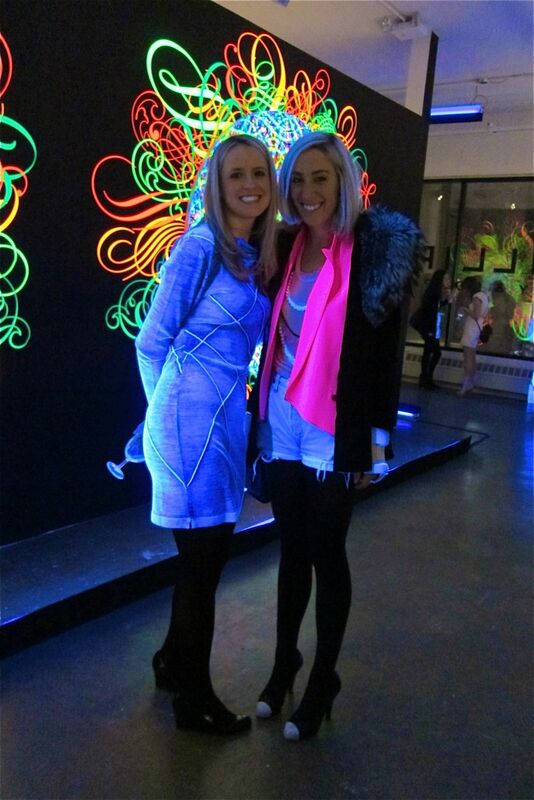 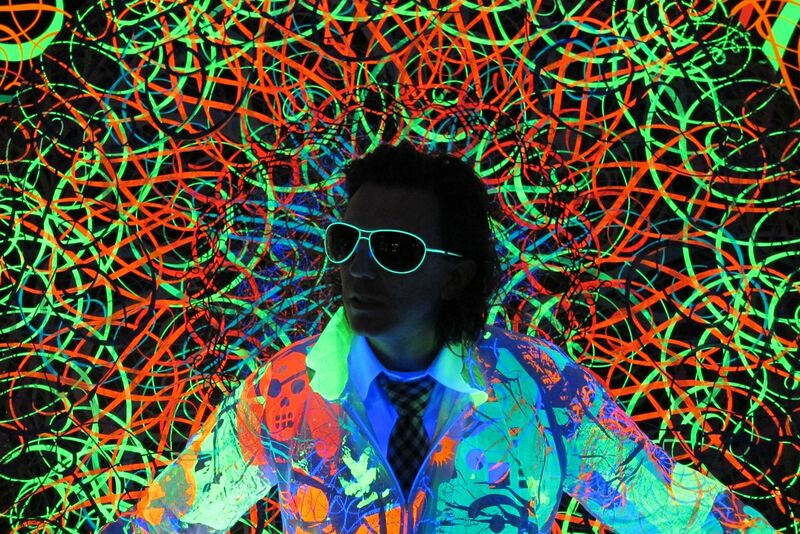 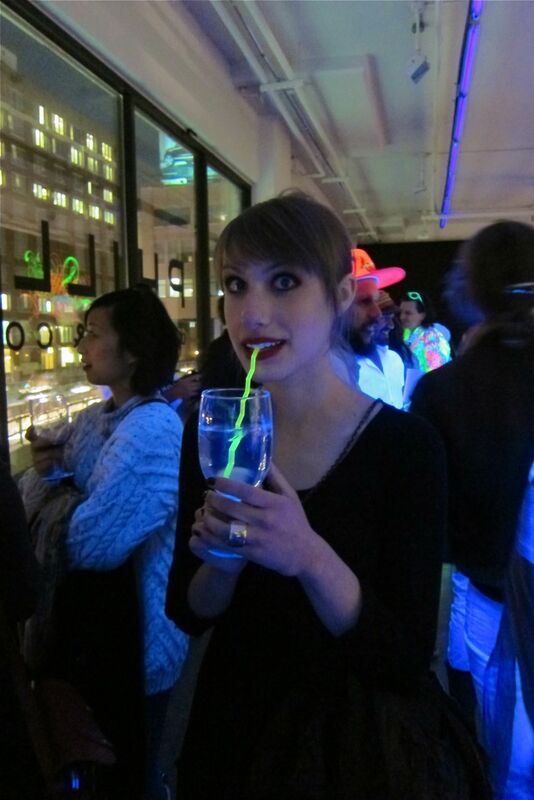 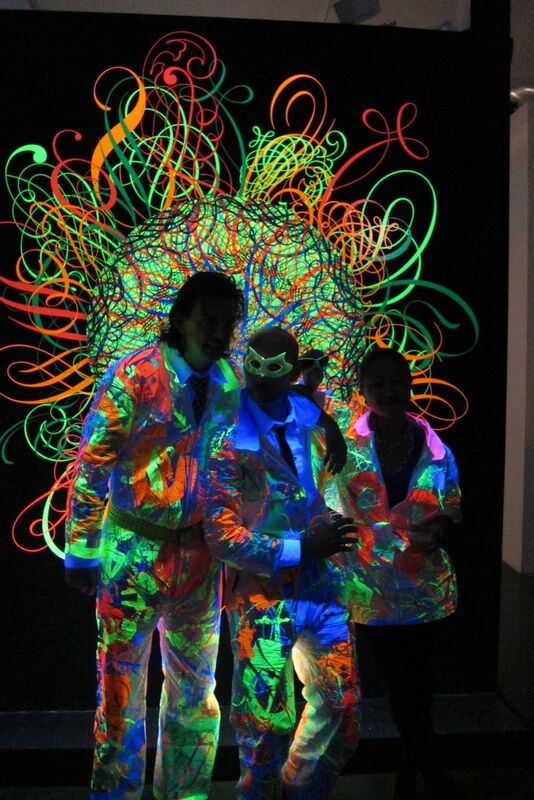 AM attended a special party at Phillips de Pury for Ryan McGinness’ Black Holes” exhibition last Friday night. 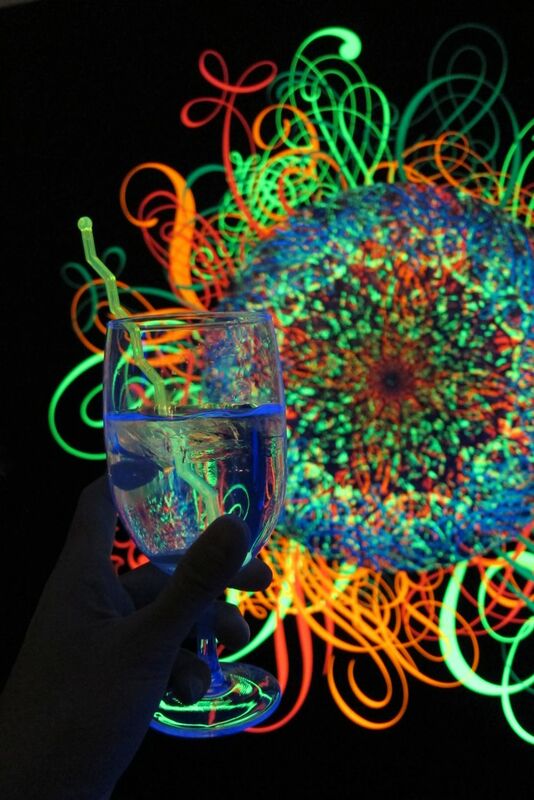 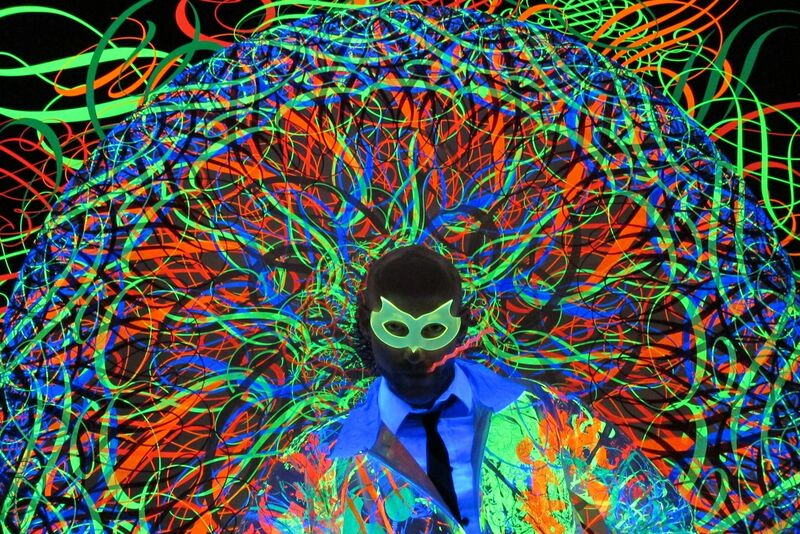 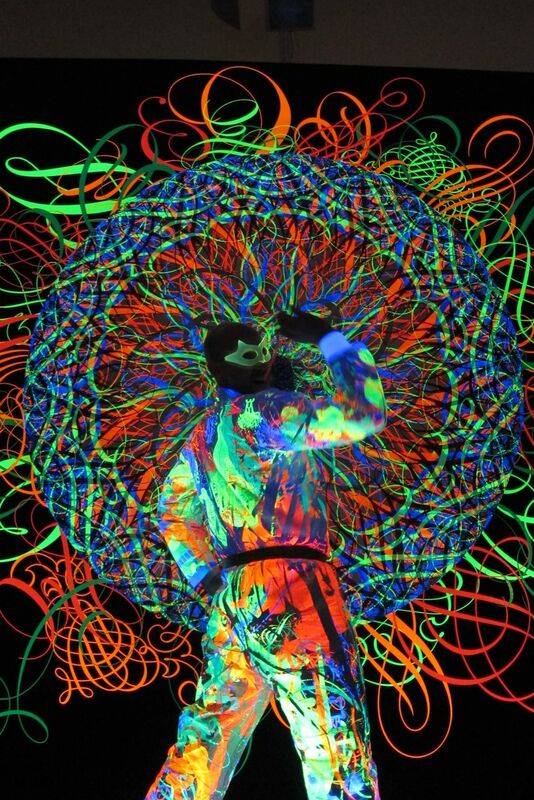 After bringing you an indoor and outdoor view of this mind altering installation, it seemed only natural that McGinness Studios hosts an event that incorporates the human element into the already impressive show. 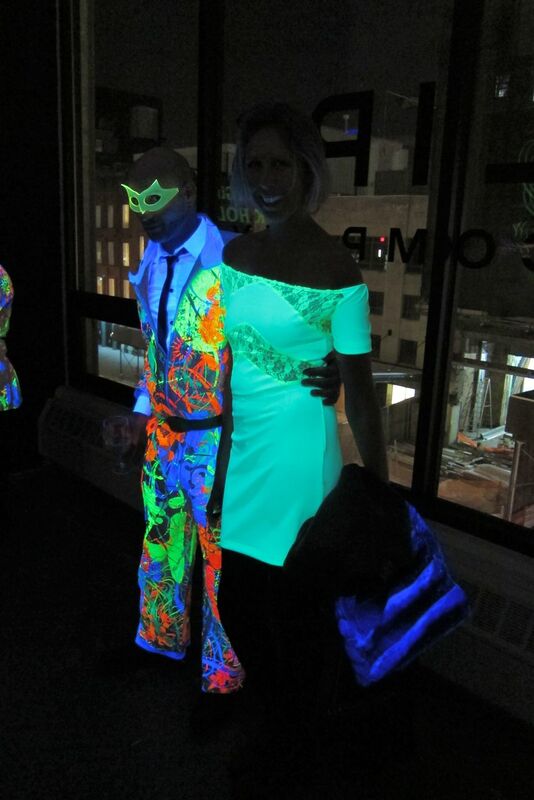 Invitees were reminded to dress in white/bright clothing in order to interact with the black-lit backdrop. 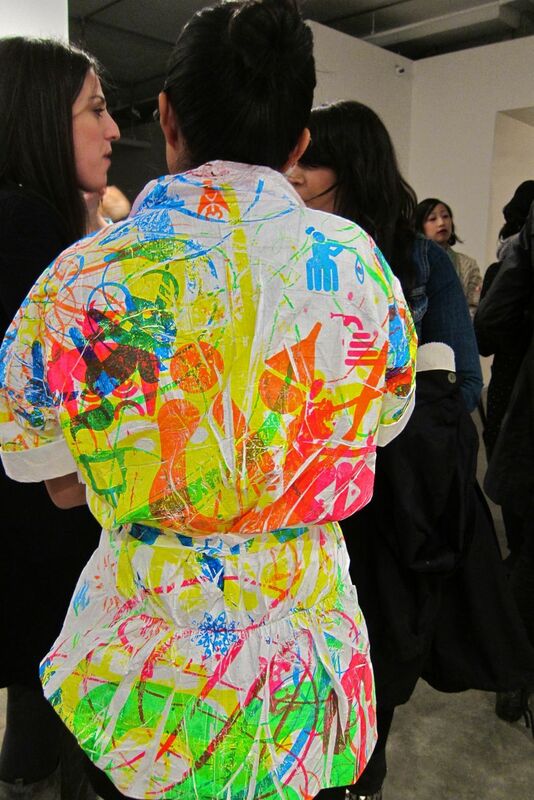 Ryan and team took it up a notch as they silkscreened their jumpsuits with their signature imagery and reactive ink. 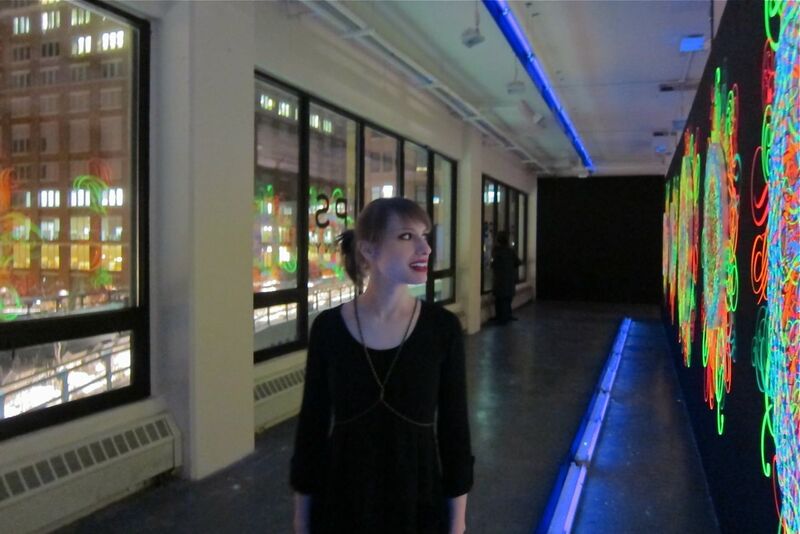 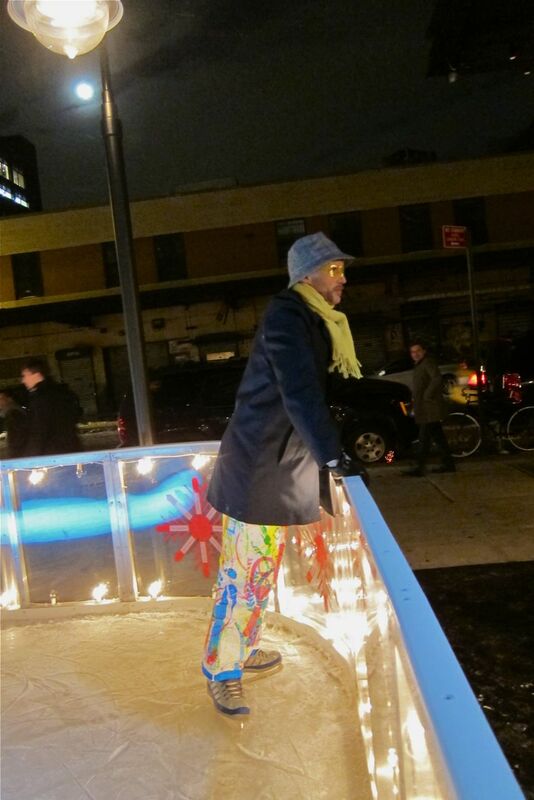 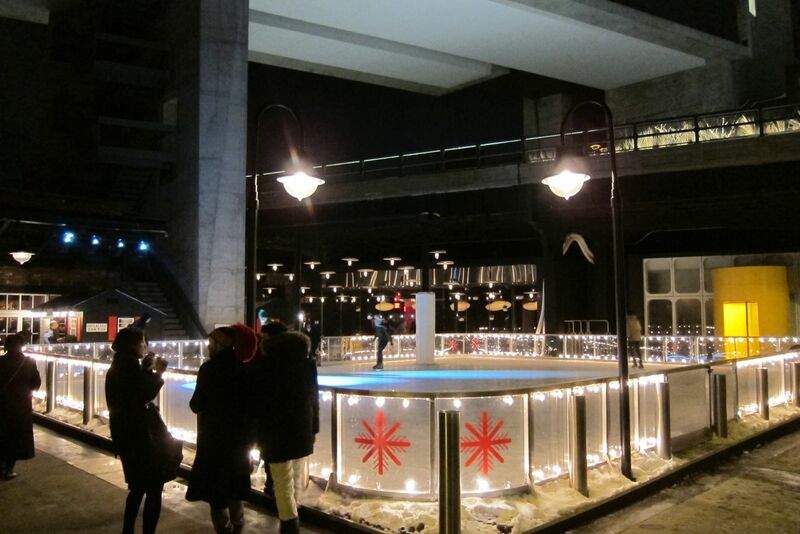 Afterwards, the crew took a visit to the Standard Hotel for a little Ice Rink action. 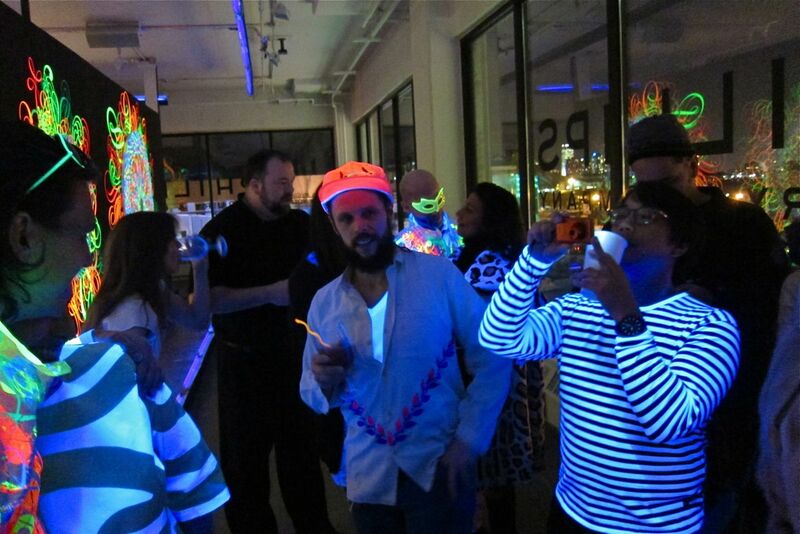 Categories: Contemporary Art, Openings, Shows & Events. 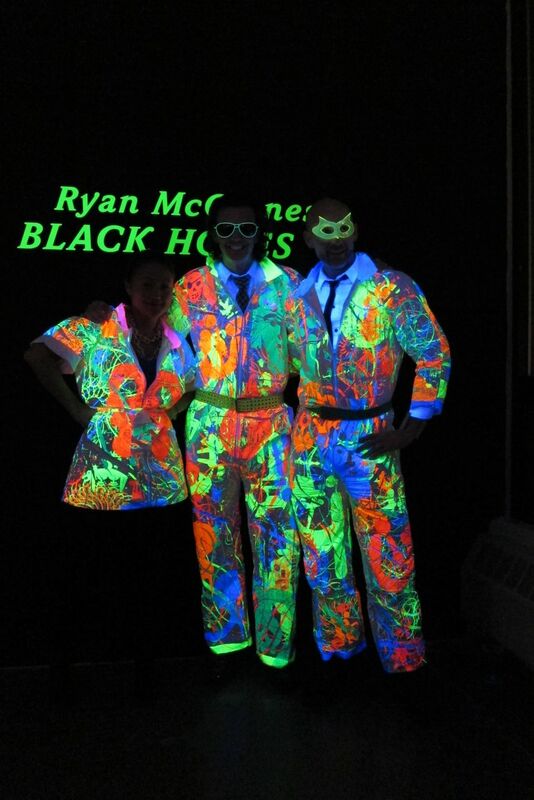 Tags: Contemporary Art, McGinness - Black Holes, Phillips de Pury, Ryan McGinness, Shows & Events.